My friend booked an airbnb. It was a cute place and perfect for what we needed even though the beds scared me as they were so high! The flat was in a building that had been around since the war (which is rare for Warsaw) and had a catholic shrine in the middle of the courtyard, which wasn’t surprising since it is a Catholic country but I had never seen before. It was my first time I stayed in a airbnb place and have booked an airbnb place for my second trip to Poland in July! This restaurant is so cute! It had a saxophone player there! This posh restaurant had a variety of polish and european cuisine at a very reasonable price. We managed to pack quite a lot in a short amount of time. We visited the Gestapo Headquarters. This building is very imposing from the outside. It is a very small museum which inside consisted of all the individual cells that prisoners were kept in and you could read all of their engravings on the wall. Accompanying this there were interactive displays educating you on the impact the Nazi’s had on Warsaw. It was very informative and certainly worth a visit. Old Town in Warsaw is another place you must visit whilst you are there. 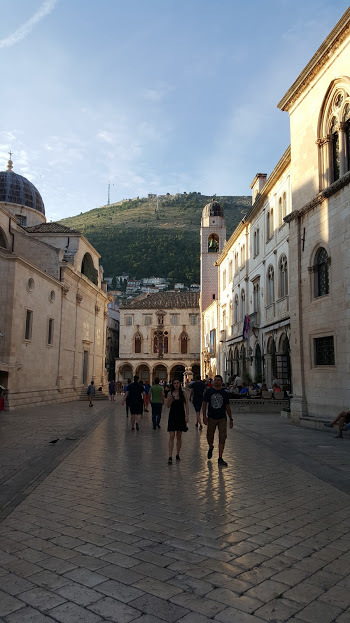 Old Town is an UNESCO World Heritage site and had been completely gutted during World War 2 and had been restored to as close as the area looked like between the 13th and 20th century. We just got a free map which showed us all the places and statues that you needed to see and had a wonder around. We also went to Lazienki Park which is the largest park in Warsaw. It is so beautiful and I couldn’t help but take lots and lots of photos of the palace and the amphitheater. Finally, I couldn’t forget the bar crawl in Warsaw, for 60 zolty you got 2 cocktails or beers, a free shot and entry into pubs and bars. I am so glad we did it just because it saves having to google all the individual bars yourself, it was also a great chance to meet some new people. It reminded me of my times at Uni! Have you ever been to Poland? Do you have any recommendations for Krakow? Let me know in the comments below! I started off my New Year with a bang by spending a weekend in Belfast. A 40 minute plane journey from Birmingham airport and we were there. Saturday was about exploring the City and doing a bit of shopping. We went to St George’s Market which was mainly full of small independent food stalls. It had a lovely quiet atmosphere and was fairly busy. We also had a gander around CastleCourt Shopping Centre and Victoria Square. Victoria Square has a dome for a roof and you can go up to the top and see great views of Belfast. In the evening we went to Granny Annie’s. It was a place that we happened to walk past and we were attracted by the outdoor decor and the inside certainly didn’t disappoint. There was live music and food. It was had a great atmosphere and was so busy. Definitely book if you want to go there. On Sunday, I booked a coach trip to the Giants Causeway. I had booked the trip through Allen’s tour. The tour left South Donegall in the morning and snaked its way up to the Causeway. We stopped by Carrick-a-Rede rope bridge. This bridge is part of the National Trust, and was erected in 1755 to reduce the reliance of a boat reaching the island as salmon fishing was a industry there. The island and the views were lovely but I didn’t find crossing the rope bridge that scary! The Giants Causeway itself was lovely. I thought the basalt columns would be taller then they were but the fact that lava settled into those shapes is interesting (Geography geek coming out there!). Finally on the way back we went to the Dark Hedges – famous from being in Games of Thrones. Although by then it was dark so it was a bit pointless. At night we ate at Little Wings Pizzaria. The pizza was lovely (I had the Formaggi Caprini which is goat’s cheese, red onion, rocket and garlic oil). I had to get the nutella pizza for dessert – which is essentially nutella and chocolate ice cream on a base. The pizza’s are cooked in a wood stone oven. They were gorgeous. I think Northern Ireland is lovely and I am glad I went for the weekend. Have you ever been to Northern Ireland, let me know what you thought or any suggestions on where I should go next! 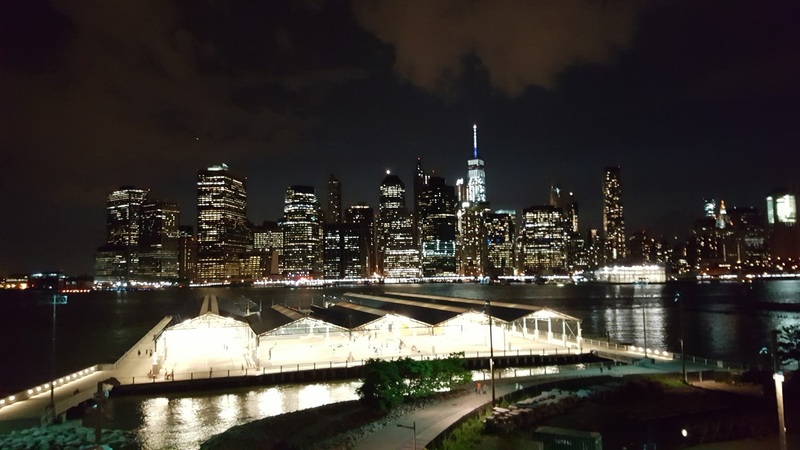 Travelling in New York – What to Do and Where to Eat! 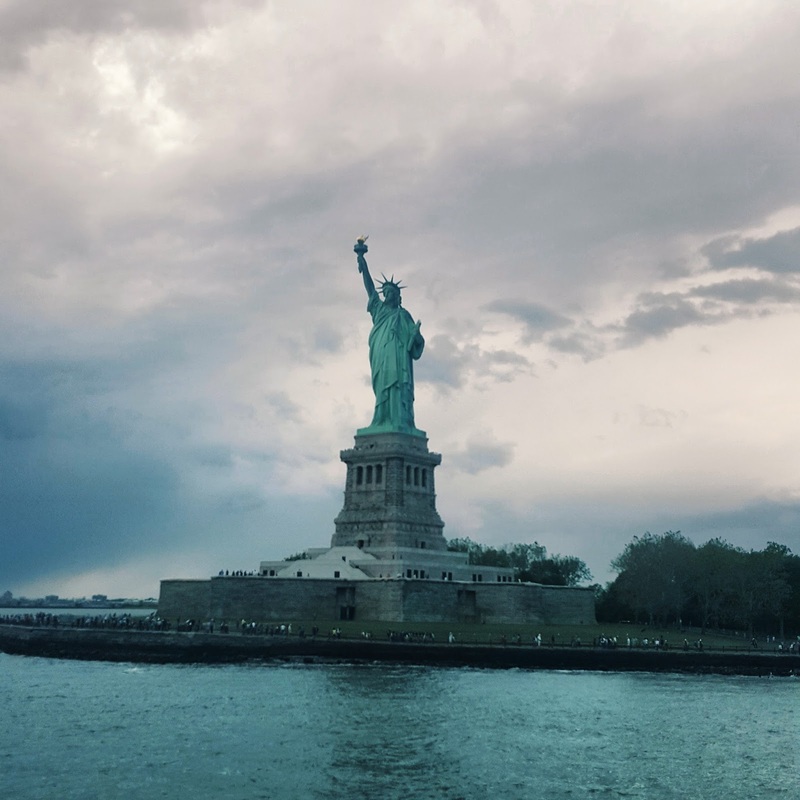 Recently I spent ten days visiting New York and Toronto. It has been my first bit of time off this year for me (other than the Bank Holidays) so it was long overdue. 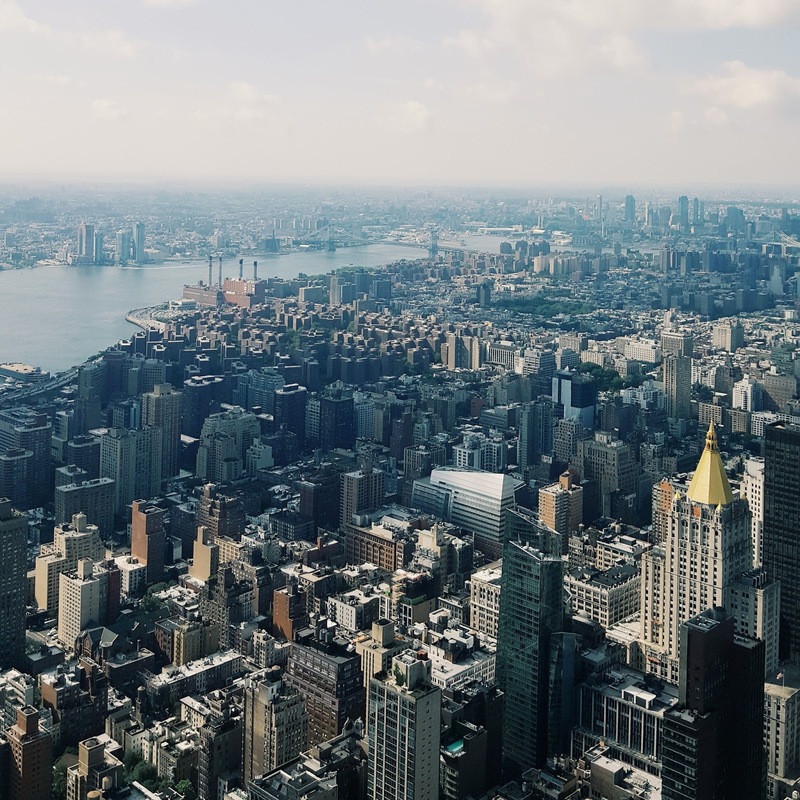 I have always wanted to visit New York and usually when I go on holiday I never do ANY of the planning. This year I wanted to make the effort, so I did a lot of the planning before I went. 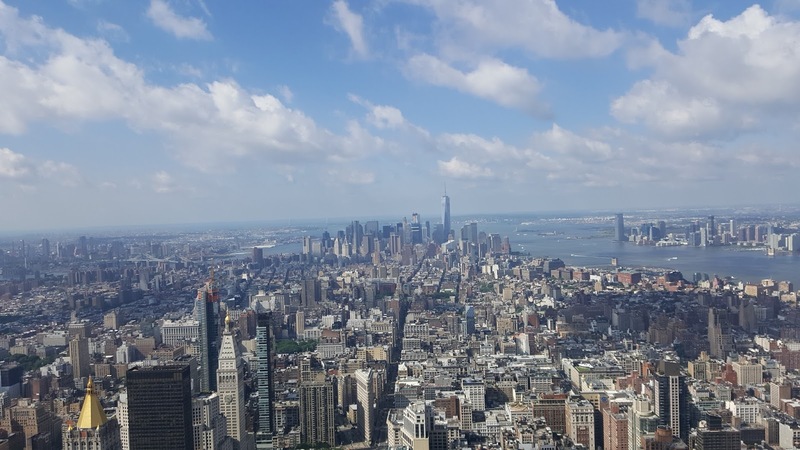 Todays post is going to be a little bit about what I did, what I ate and how I planned the trip – so if you fancy going to NY or are making a trip over the Atlantic soon then read on! Pinterest and Trip Advisor was my friend for planning. I used Trip Advisor initially to write down all the main attractions most people visited so I didn’t miss any out. 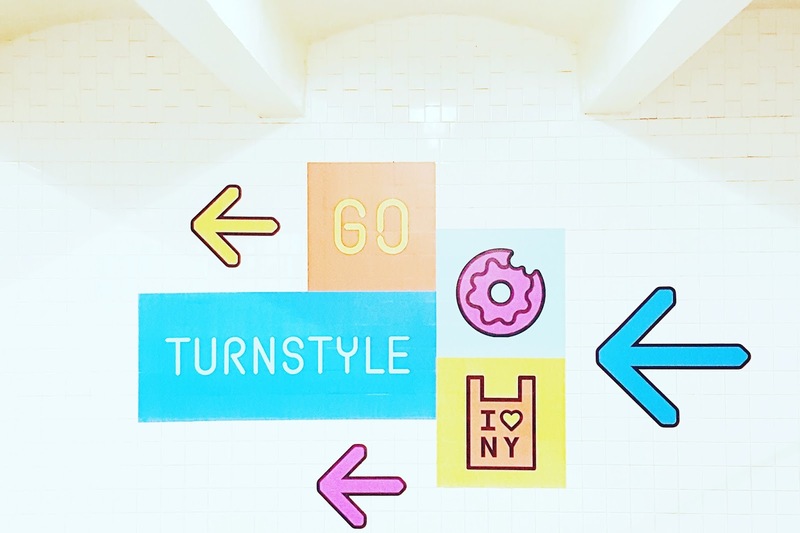 Pinterest really came into it’s own for the food and ‘hidden’ parts of NYC that you may want to see but wouldn’t really be written about on TA. I would not have known about Black Tap milkshakes or the Sprinkles Cupcake ATM (written about further down) otherwise. 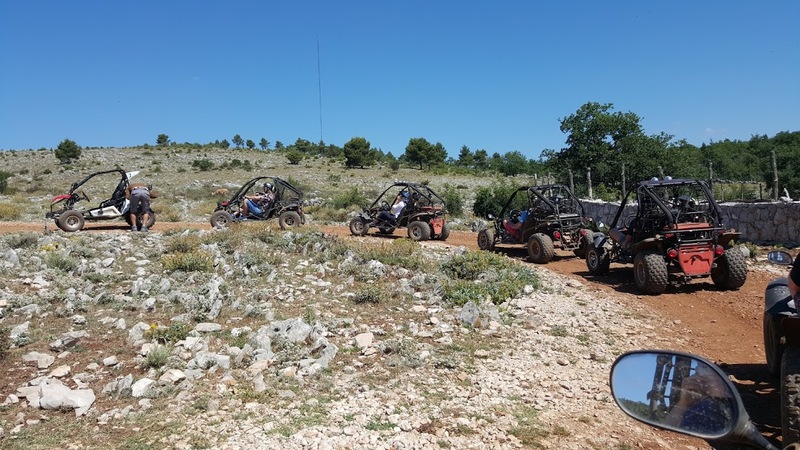 In terms of booking tickets, we managed to book everything that we wanted to see about a week in advance of the trip but especially if you are going at peak time I would book them as soon as possible. We couldn’t go up to the top of the Statute of Liberty (the crown) because all the tickets had sold out. We only got tickets to the pedestal level (there are different levels of the Statue of Liberty that you can visit) and that was because we caught the ferry at New Jersey and not from Battery Park which meant we had to travel over to NJ which wasn’t the end of the world but was time consuming. So Becky, what did ya see? 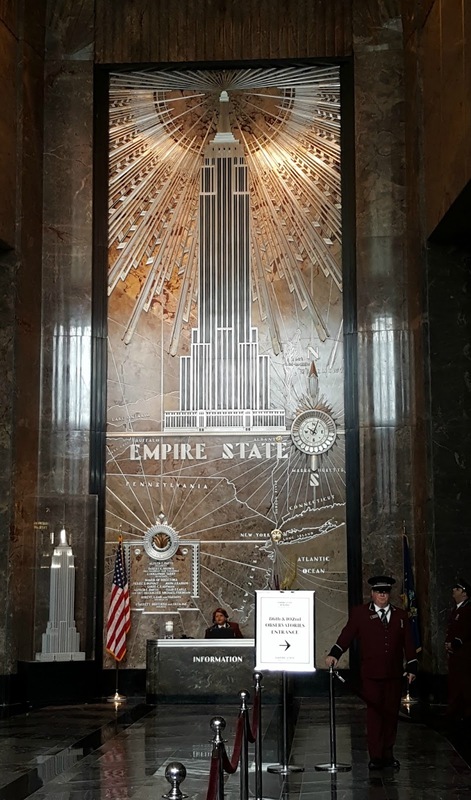 I didn’t really know what to expect and the art deco interior really reminded me of The Great Gatsby (not surprising since it is from that era) very smart and classy. 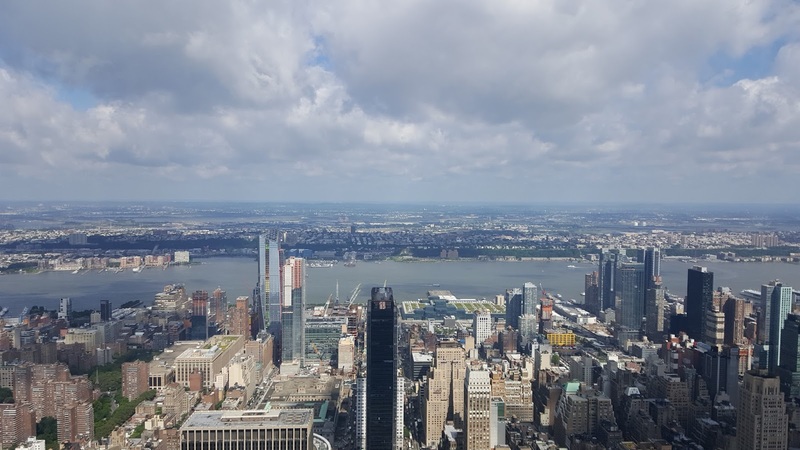 The views of NY from the top was well worth it. I went right at the beginning of the day so there were no queues. The pictures speak for themselves really. Need I say more? If you are getting the ferry at New Jersey leave plenty of time to find the port as there is no signage once you get off the tram. I found this out the hard way and was so close to missing the ferry, I was sprinting from the tram stop to the ferry terminal and its longer than you think! Anyway the views of NY from the ferry are absolutely stunning. Again one of those need I say more! One tip I got off Pinterest is that in the middle of Times Square there is a sound installation on the floor by Max Neuhaus. It is so odd to hear this calming music over the hustle and bustle of people moving around the square. 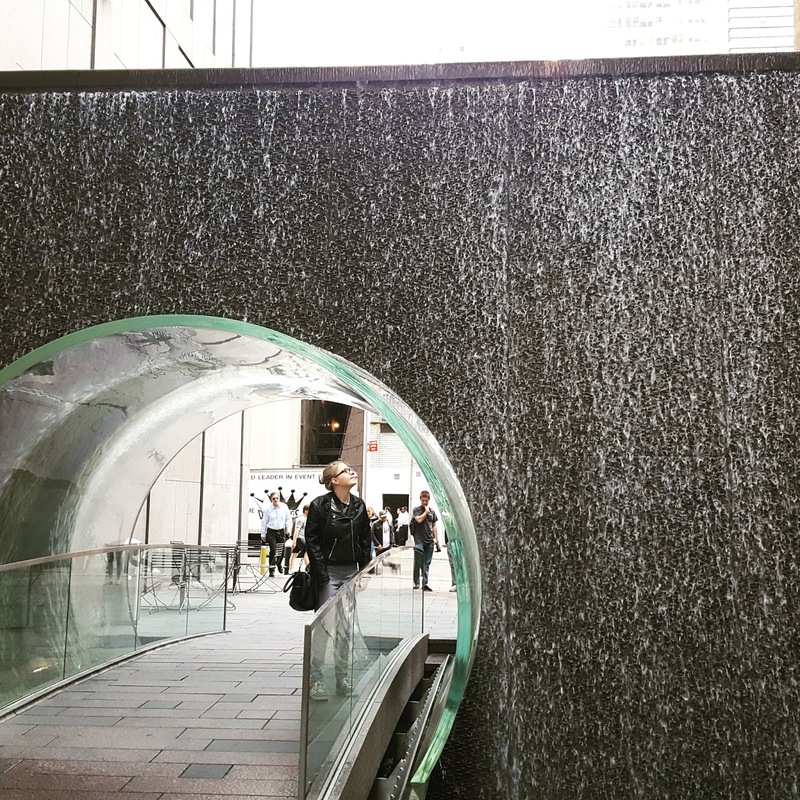 There is also nearby a glass waterfall tunnel nestled on one side of the McGraw-Hill building, its a cute thing to go and see. 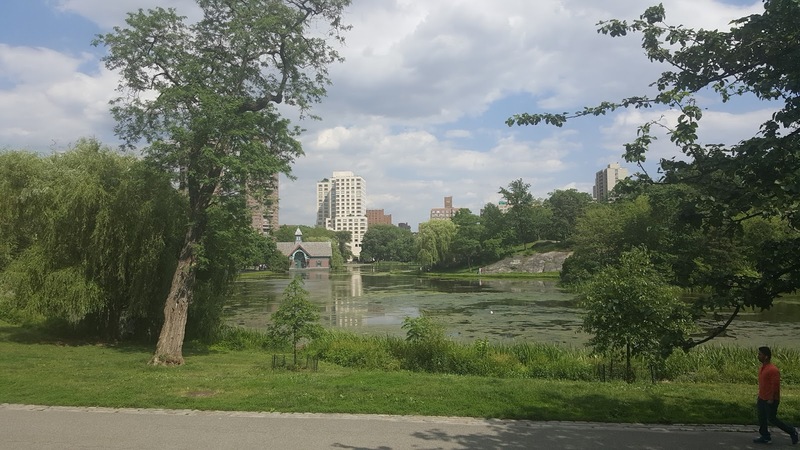 I hired a bike and went around Central Park. I didn’t appreciate the sheer size of the park and it was well worth getting the bikes so you can experience it all. We hired the bikes online on the day which was a good idea as there are some pretty good discounts around. 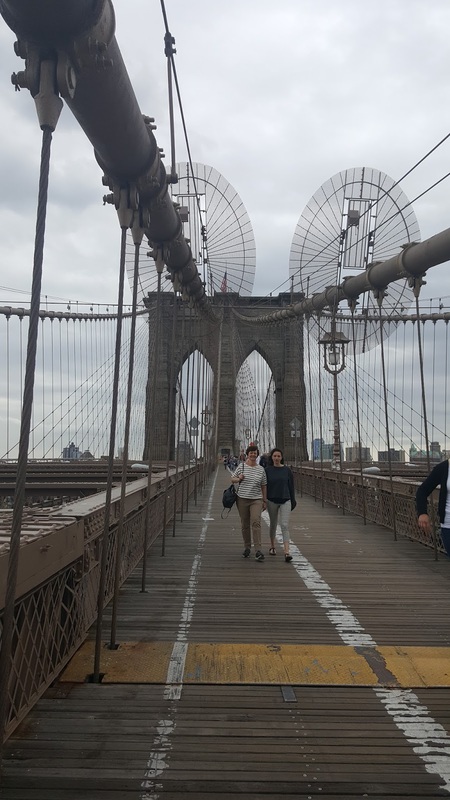 Unfortunately I went when it was raining so didn’t stay long on the bridge as I wanted but you cannot go to New York and not stand on Brooklyn Bridge. 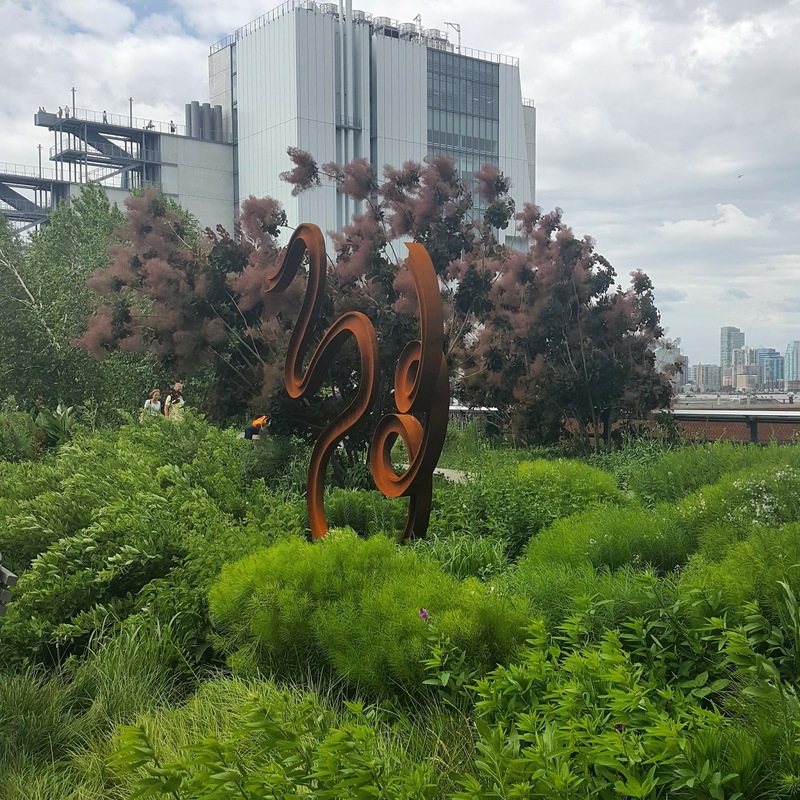 The High Line was an attraction that I had not heard of until I stumbled upon Kate La Vie’s post about New York attractions. 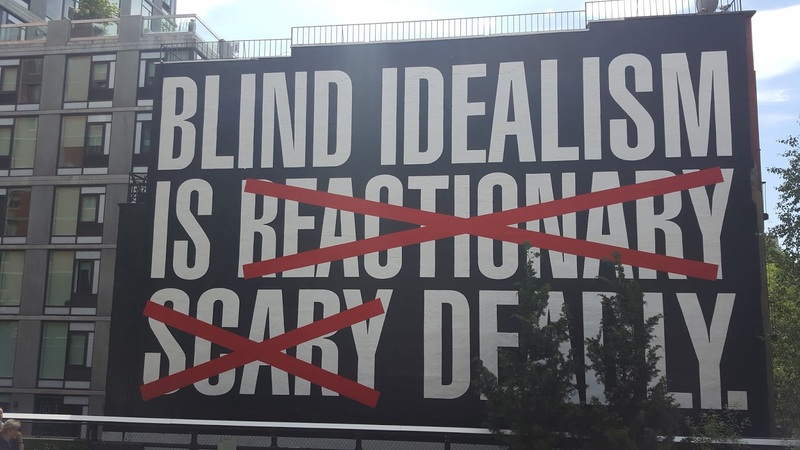 The High Line used to be an old train line that has been regenerated into a public walkway and gardens that it suspended above the city. It is beautiful peaceful way to view the city and a good example of sustainability in practice (if any of my old Geography lecturers are reading this they would be proud). Is a great little indoor market full of food ranging from burgers to pizza amongst others and cute little vintage shops and a great independent bookstore (Posman Books) that is worth a visit for all their cute notepads. 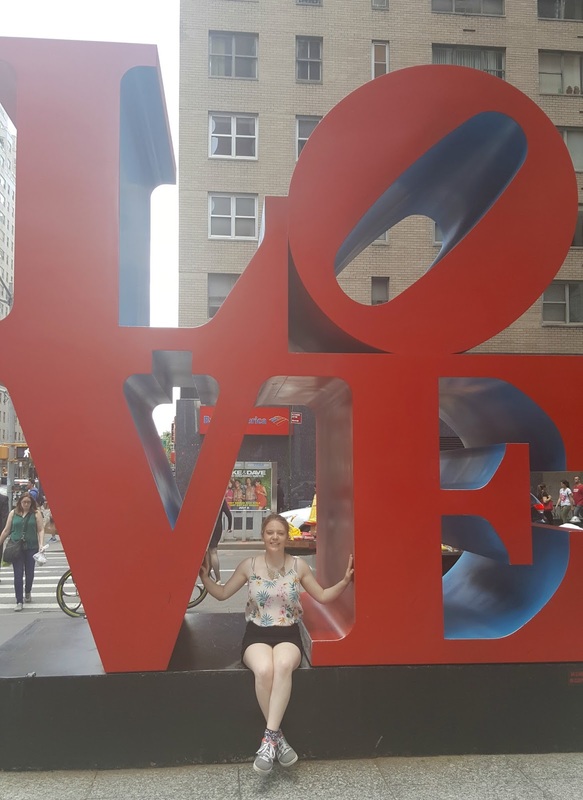 The Love Sculpture was one of those things that I happened to stumble across in New York (I do think New York is one of those places where you stumble across random but cool things!). At the time I was there, a cute couple got engaged right in front of the sculpture – they had a choir singing and everything! 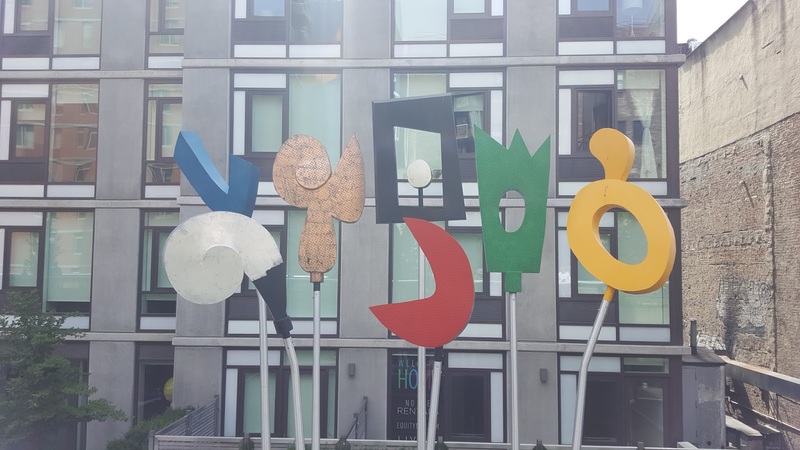 Find it on 55th and 6th Avenue. This famous train station is great place to take photos and for having a nosy round the shops. 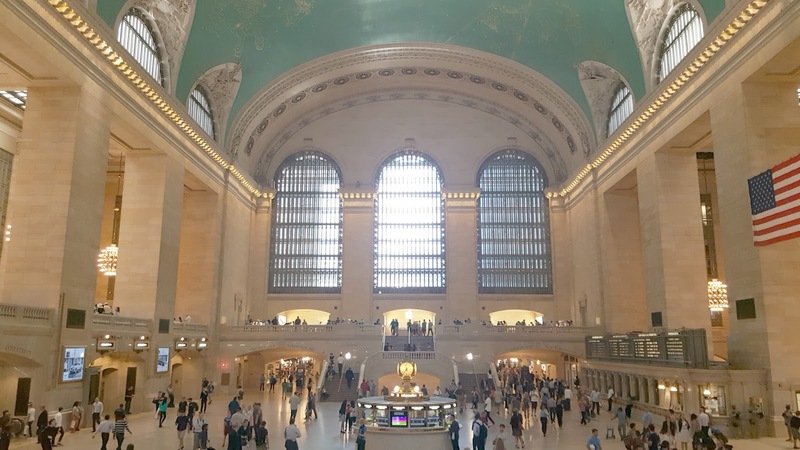 There is also a ‘whispering arch’ located on the lower concourse of Grand Central where if a friend stands on one side and you stand on another you can hear what your friend is clearly saying – even when they are away from you! Macy’s – The Debenhams of the US – need I say more! Bloomingdales was a shopping centre where it was nice to have a browse but I couldn’t seriously ever afford to buy anything in there! I cannot recommend too many food places because a lot of the time we either ate at the hotel ( breakfast came with the price) or ate on the go. 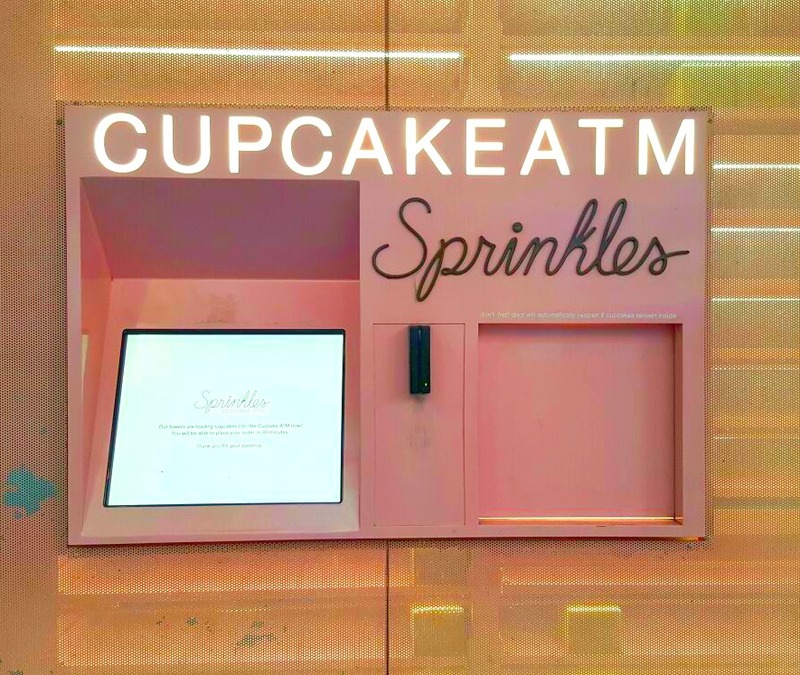 However, I had to visit the Sprinkles ATM (close to Bloomingdales) at the time I went the ATM was closed however I did have a chocolate brownie ice cream which was awesome. Black Tap is another cool place I found on Pinterest which I certainly would not have been too otherwise. 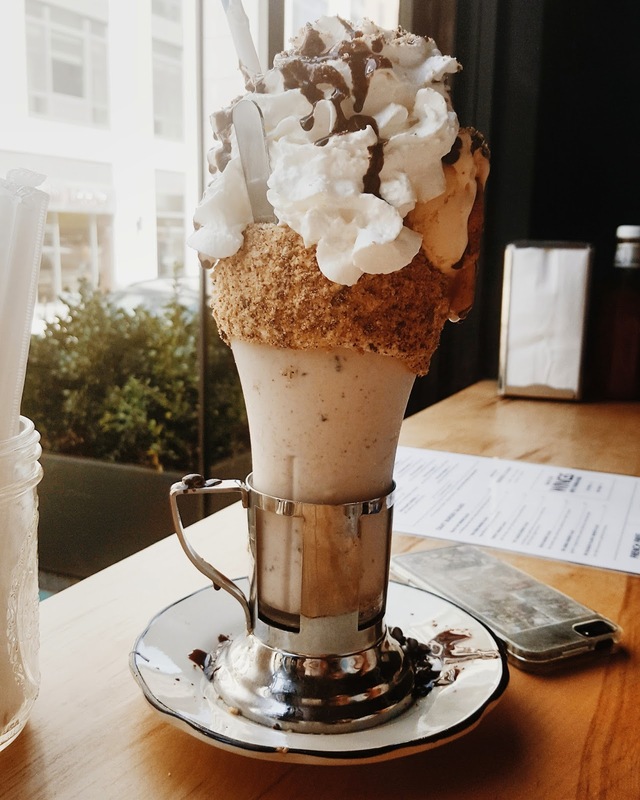 Black Tap is a burger and shake place but their milkshakes are seriously amazing. As you can see below I had this cookie milkshake and it is nothing I have ever had before. This place is becoming so popular that there was a queue up the street when I visited! If you don’t want to be waiting in the queue long just go for the milkshake instead. 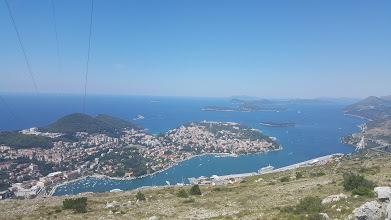 All of us got on a cable car which gave us stunning views of the Old Town above. 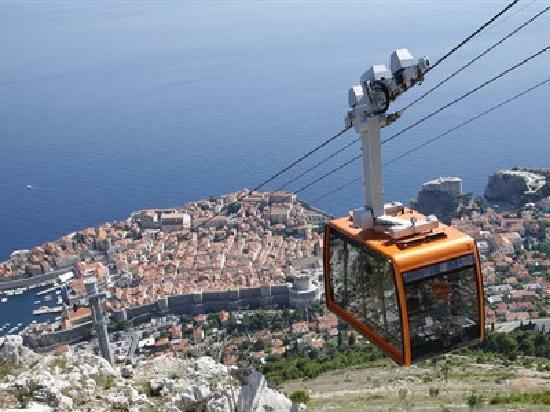 The cable car was relatively new, the last cable car being destroyed in the 1991 war. 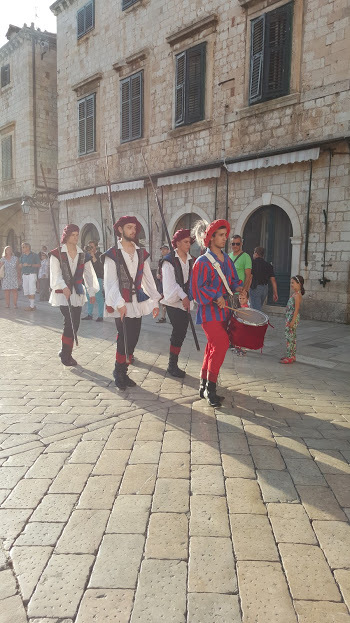 We had a guided walk through the town telling us stories about the 1991 war and how it affected the Old Town (Dubrovnik is a UNESCO World Heritage site and one of the few examples of walled cities). 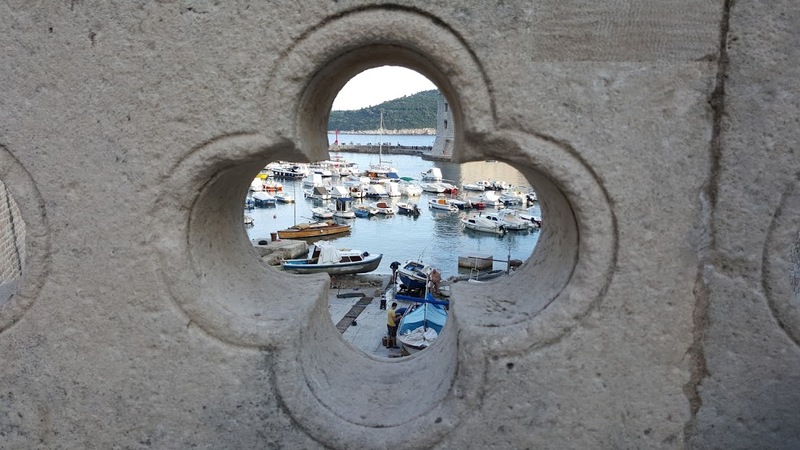 Dubrovnik was under siege for seven months which meant a lot of properties within the walled city were damaged. An example of this was the roofs, the majority of roofs on properties in the Old Town had to be rebuilt from scratch in the same style per UNESCO guidelines. 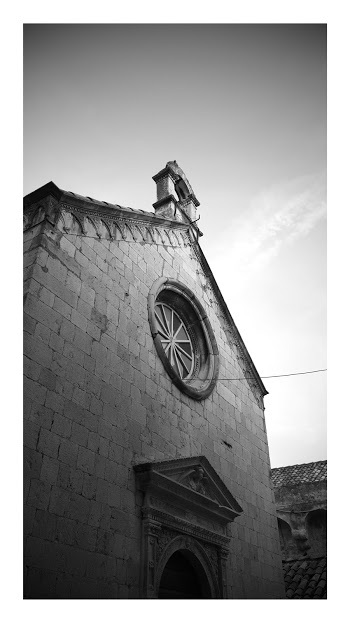 The walk down Stradun (the main street in Dubrovnik) was lovely. The streets in Old Town are limestone paved therefore really slippy! 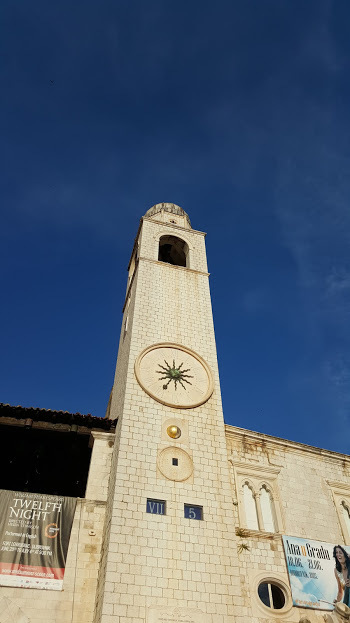 My partner and I loved the old town so much we went back a few days later and explored it further, we even brought back a painting (there were many sellers selling paintings create by local art students). 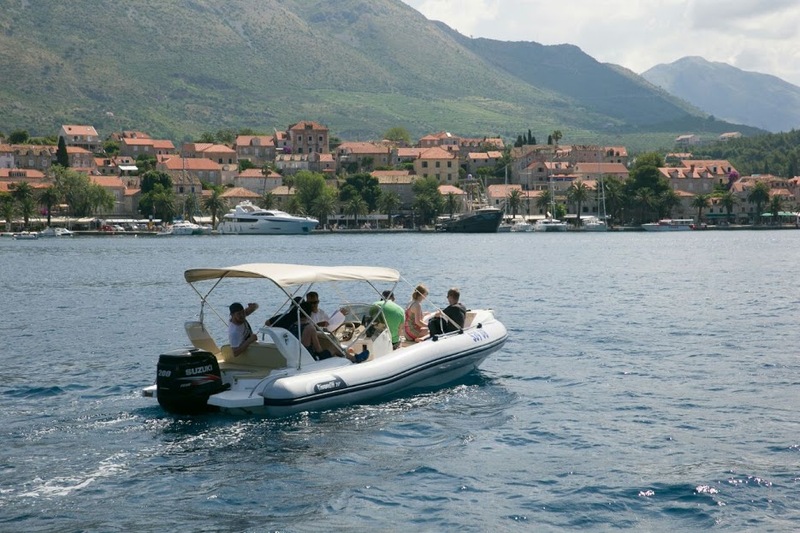 On one of the day’s we all piled into rib- boats and just powered our way round the coast. We stopped at a small island for a three- course lunch then did some water sports. I went on a jet- ski (the first time ever on a jet- ski and loved it!) and kayaking with my partner. 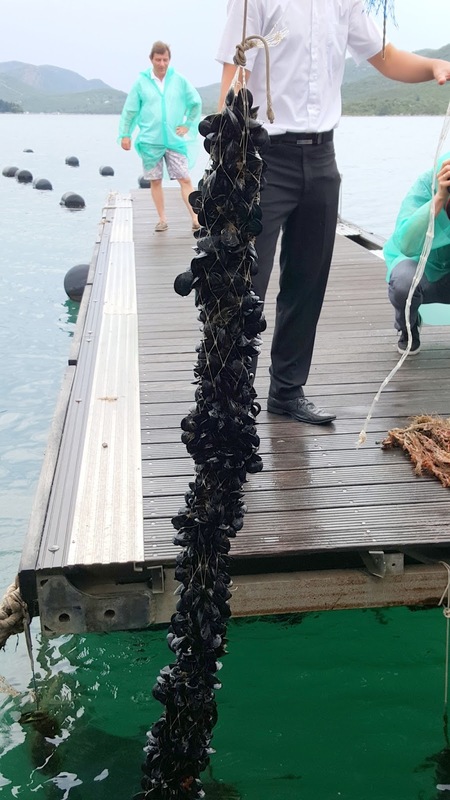 Not one for eating seafood myself, our first full day involved eating mussels on this boat. I wasn’t keen on the mussels but glad I tried it, I did wash it all down with wine after! On our last full day, we decided to go on a sand buggy. We drove across land which in the 1991 war had been occupied. The guide showed us some relics from the war including shrapnel and a gas mask. He also told us about the war from his perspective as he was a seven when it happened. The guide said as a child he didn’t go to school very often because the war made normal life very difficult and that sometimes he would ask a member of the army for a ride in a tank and occasionally they let him! He spoke about landmines from the 1991 war that in certain areas were still active and that had blown people up in mid-2000. As I was born in the early nineties it brought home really how recent the war was. 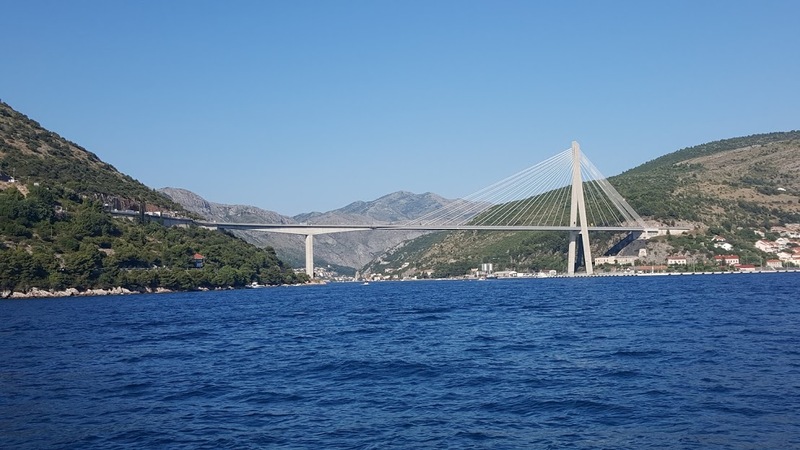 In the afternoon on the last day we went yachting around the coastline of Dubrovnik. I felt really sea sick (too much sun and good food I think!) so ended up laying down on the boat as the sky was the only thing I could focus on! 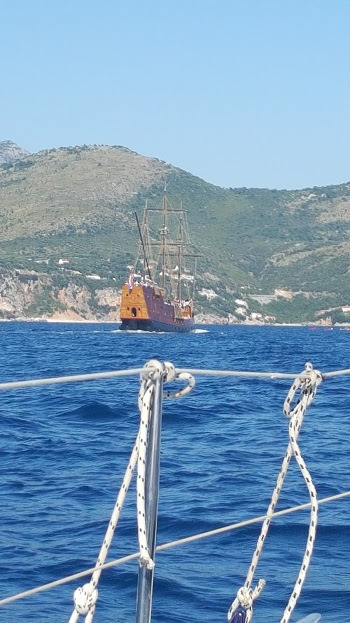 I saw a pirate ship! So that was a little snapshot of what I got up to in the four days! Going on a trek but not sure what to pack? Read here. The next stop after Vegas was Death Valley. It was an awesome place to say that you have been there but I didn’t really think it was that hot! (we did go very early in the morning so that may have been why!) Not a lot happened that day due to it being another long day of driving. We stopped at a campsite (Lake Isabella/ Kearn River KOA) which was in the middle of nowhere! However, that gave us a chance to chill before Yosemite! After a long day driving, we arrived at Yosemite and went straight to Mariposa Grove which is home to the giant sequoia’s. These tree’s being true to their name were huge and the whole place had a whimsical feel to it. Afterwards, as it was late, we put our tents at the campsite and just chilled. Day Ten (Yosemite National Park, California). All morning it snowed. It was so thick, it is quite hard to believe that there was snow in California. I trekked up to Nevada Falls although we didn’t quite get to the falls before we turned back as the snow was falling thick and fast. We stayed in a hotel that night as it was so cold. It was that cold that the next day the camp leader informed us that the coolers had retained there ice! Although it was pretty special that we saw Yosemite in the snow, I wished that it hadn’t snowed because we didn’t get to see the park in its full glory. We were all excited as we were heading to San Fran! Before the trip, I had heard others rave about San Francisco however it wasn’t a place I was thinking ‘yeah I really want to go there!’. We headed over to the IHOP for pancakes American style. It was such a disappointment, as the pancakes tasted really soggy. bleurgh. Once we were all fed we travelled over to the Golden Gate Bridge for the obligatory pictures. We stayed in a hostel which was in the Tenderloin district which is one of the poorest parts of San Fran. One thing which I wasn’t prepared for in san Fran but also California was seeing the amount of homeless people on the street. A lot of them were high on drugs as well and I didn’t feel safe at times. On the first night, my partner and I along with some of the trek decided to go on the sunset cruise around the Golden Gate bridge. It cost roughly $45 dollars each and was really good value for money with unlimited drinks (including alcoholic drinks) and nibbles. It was a really special moment that I will remember for a long time. My Birthday! My partner and I went to Alcatraz for the day. Alcatraz in a round about way was an unexpected highlight. The history of the island (I knew it was a prison but didn’t know about the native American Indians occupying the island after). We went on the tour where you are given a headset. Again I recommend this as you learn so much about Alcatraz and the tour was spoken by people who had lived on Alcatraz- this ranged from prisoners to guards to children of the prison guards. I had a nice Indian meal in the evening to celebrate my birthday. Day Thirteen (Monterey Bay and the Coastal Highway). This day was quite sad because we all knew we would be leaving soon! We started the morning leaving San Francisco early and heading to Monterey Bay. Monterey Bay is famous for cannery, fishing and John Steinbeck’s famous books such as Cannery Row. It was very quiet and a world away from the West Coast I have gotten to know. Our route was down Big Sur on Highway 1. I had never heard of Big Sur before but the whole route contained stunning sea views. We took a walk across the path to McWay falls in Julia Pfeiffer Burns State Park. The McWay falls were gorgeous. It is essentially a waterfall falling onto a beach which is inaccessible to the public. It is one of those little places where you would never go there as it isn’t a tourist must see you hear about. Home time 🙁 We got driven to Venice Beach and had a couple of hours around there. I wasn’t sure what to expect with Venice Beach. It was very busy with street groups and people selling items everywhere. On the beach, people were continuously roller blading, running or walking. I also got to see Muscle Beach. I have always been intrigued with the area after seeing it on Don’t Tell the Bride and I can tell you I wouldn’t get married there! We stopped off for doughnuts and then we all bid farewell and got dropped off at our hotels. What did I think of the trip? I am really glad I did the Trek America trip. I never did the ‘Gap Year’ experience so to have a taste of it for two weeks was fantastic. I didn’t find the camping too bad- at the end of the day it’s camping it’s not going to be comfortable or glamorous. It is camping with tents and not hostelling, Trek America do make it clear on the website, but some people on our trek did not know this. I definitely felt that I had experienced the west coast. A couple of things I do wish I saw was the Neon Sign graveyard in Vegas, Had another day to experience San Fran (I was poorly throughout San Fran and stayed in bed the afternoon of the second day) and stayed at the very tacky Madonna Inn! I will go into the experience of camping in another post but felt that the logistics of the trek were fine. In terms of we didn’t spend horrendously long times in the van or too long in a rubbish place. If you do want to experience Los Angeles properly however I would book either an extra day or two before or after the trek. I didn’t do this and wish I had as we literally drove through LA, Beverly Hills and Hollywood and I wanted to go on the famous star’s home tour and try and get closer to the famous Hollywood sign. Are you booking a Trek America tour or heading to the West Coast?